Canjica! 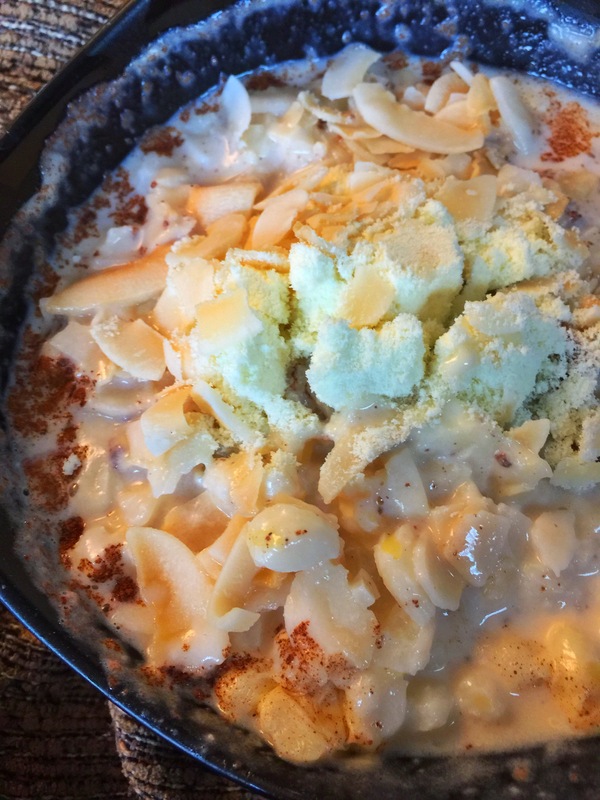 A typical seasonal Brazilian dessert normally only made in winter months of June-July during ‘festas juninas’, Brazilian hominy preparation is a bit different, as it is treated as dessert, and apparently amazing for breast milk production because my mom has been making it nonstop! I’m not complaining, I actually LOVE canjica and wanted to share the recipe with you guys! BOM DEMAIS. So good. This isn’t as good as my grandma’s but my mom does a close second. All I can work for is a close 3rd. Life is good as I recover and make milk for Baby Sandee. This is also all over BrazilianFusion, so come check us out! Soak the hominy in water overnight. In a large pot, cook hominy with it’s soaking water until they are soft, about 50 minutes. Add the condensed milk, whole milk, coconut milk and mix it well. Add the spices (cinnamon sticks, ground cinnamon, cloves), bring it to a boil and simmer for about 20 minutes, stirring every once in a while. The hominy will thicken slightly and gain a creamy consisency. Stir in the shredded coconut and sweeten if necessary according to your taste with more condensed milk, sugar or sweetener of choice. Serve hot in individual bowls topped with a BIG pinch of ground cinnamon (that I love) and a tablespoon of crushed toasted peanuts (if using, not everyone likes this but is great for texture). I also like to add nido powdered milk (in Brasil ‘leite ninho”) for added taste. It really adds something else. PS: You will have leftovers, more than likely. This makes ALOT, so freeze or place in fridge if you’ll eat it all within a few days. Definitely safe to reheat and according to my mother (and all of Brazil) it is highly recommended for postpartum mamas for enhanced breast milk production. Do you eat hominy in your culture? If so, how!? Tell me below! 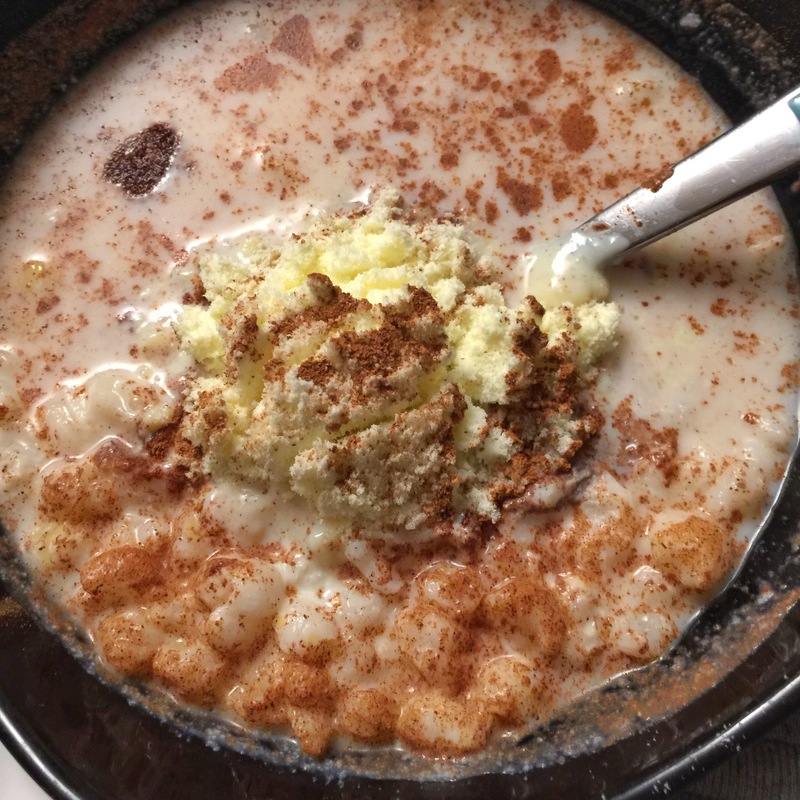 This entry was posted in Brazilian Fusion, Soups and Stews, Sweet Stuff, Uncategorized and tagged brazilian hominy, canjica, hominy, sweet hominy. This is so amazing! It’s so similar to arroz con leche! I’m going to try it tomorrow. If I get the Hominy in a can do I still soak it? It looks so good! We have a similar version in the Philippines but it’s creamed hominy topped with fresh shredded coconut and a little salt. I’ll have to try this recipe! I can’t wait! Can you substitute the whole milk? If so, what type of milk have you tried? Hi Ana, please put a video of how to do this Brazilian hominy.